Valentine's Day is right around the corner and if you have the details of your event, please send them to Ashlee. The Winter Edition of The Dirt is coming out soon - and we want to make sure we have everyone's events listed on our website to promote! The Idaho Wine Commission is having a food drive for the Idaho Food Bank. If you would like to contribute any non-perishable food items, please bring the items to our office this week! Participation is voluntary, please let Ashlee if you have any additional questions. Did You Know? Thanks to ISDA grant funds we are able to cover several speaker fees and travel expenses without the need to pass those costs on to the attendees! Two full days of seminars bringing you up-to-date on what's happening in Idaho's world of wine. We are sending speaker highlights leading up to the Annual Meeting to really showcase all the great speakers we will be having this year! Please note the Vintage Tasting will be blind. This means all wine must be submitted and delivered to the IWC office by February 15, 2019. If the wines are not registered and delivered to Brenna for the Vintage Tasting, they will not be tasted. This year we are limiting it to six varietals to aid in focusing discussions: chardonnay, riesling, viognier, tempranillo, cabernet sauvignon, syrah. Remember, if you would like to drop off wine for media samples - you can bring your wine to the Annual Meeting and mark the box MEDIA SAMPLES. Mark your calendars for the Industry Reception on Tuesday, February 26th starting at 5 PM - 6:30 PM. Feel free to bring a bottle of wine to share. Art on the Island combines the excitement of wine tasting with a live painting competition, art auction and concert on the grass at Eagle Island State Park. 400 people are expected to attend this 3rd annual event held in conjunction with the Eagle Plein Air Festival. Wineries are asked to provide complementary tastings, then sell by the glass/bottle. Bring your tent and table to set up on the grass and enjoy a one of a kind event that combines art & music topped with great food and wine! and represent the future for most consumer brands. According to the Wine Market Council, the segment already purchases more wine than their immediate predecessors, GenX. This session will explore what distinguishes Millennials, how to communicate with them, what encourages them to buy, how they like to travel and much more. on Friday, March 8, from 12 – 5 p.m. Location is 3020 E. Isaacs Ave.
2/26 - 2/27 - Annual Meeting - REGISTER TODAY! View agenda HERE! April - Industry Meetings - We Want To Meet With You! 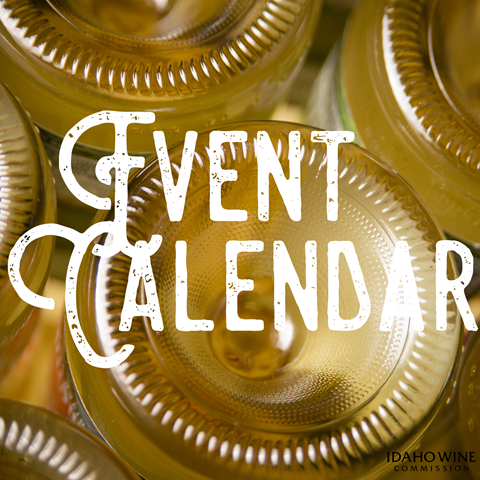 6/9 - Savor Idaho - REGISTER TODAY! Take a look at some articles Moya suggests reading! The Idaho Wine Commission receives media requests often! If you would like your wine included in future shipments to media, please let us know. 2. Bring to the upcoming Annual Meeting and label box MEDIA WINE. In response to feedback from our Annual Membership Survey, Idaho Preferred is pleased to present a webinar to help you create an effective social media presence. 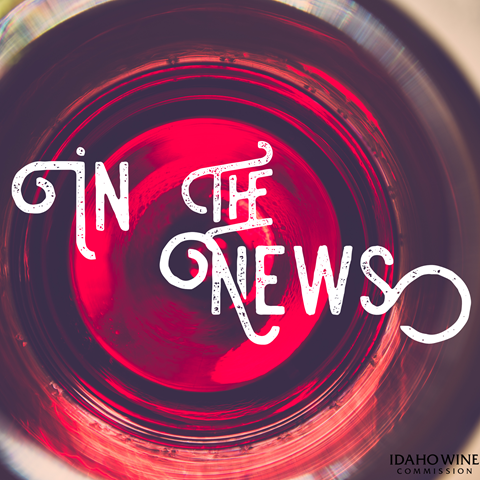 ** Information, materials and/or assistance included in this weekly email are intended solely as informational guidance and doesn't represent the Idaho Wine Commission.